I did a blog post on this topic some years ago, but thanks to the proliferation of these photos on Pinterest and Flickr, it bears repeating. 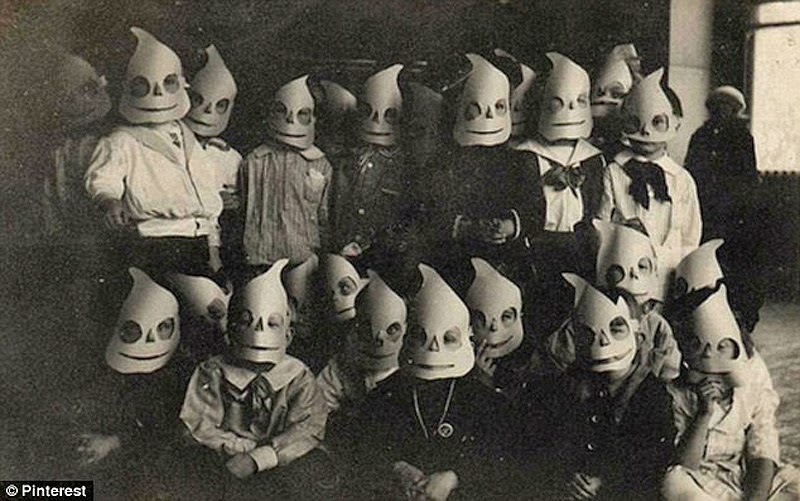 There's something really unsettling--but also very cool--about vintage Halloween costumes. 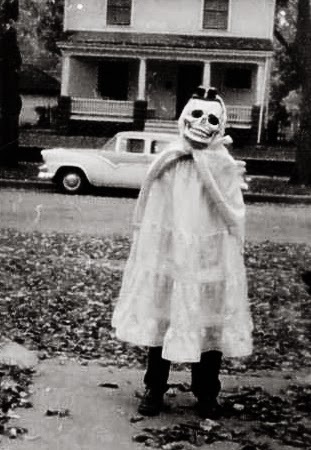 Decades before we had our choice of any overpriced, cheesy comic book character costume made of cheap vinyl online, everyone had to get crafty and make their own (gosh--the horror!) or choose from the limited designs that were available through mail-order catalogs or from the local five-and-dime. 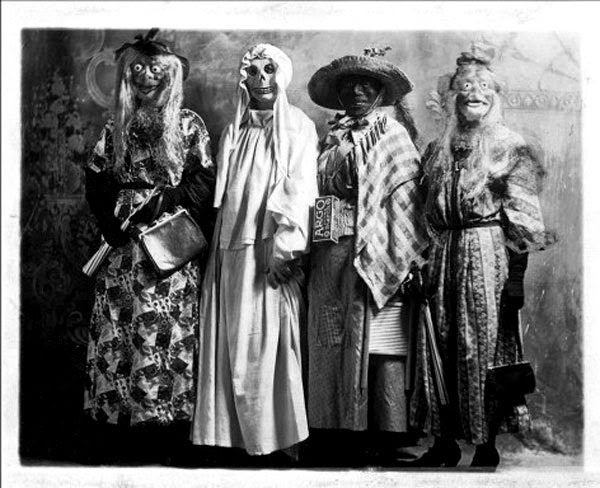 The fact that many of these photographs are black-and-white also adds nicely to the heebie jeebie factor. 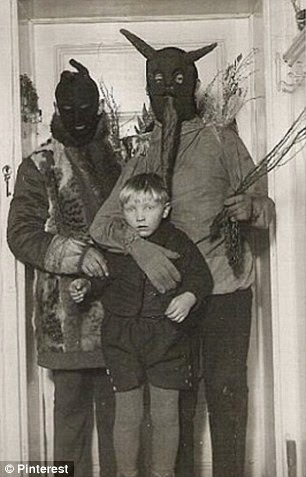 So let's take a trip back in time to the days of Halloween past...if you dare. Is this a girl or a boy? I can't tell, but this cross-gender skeleton's top hat (I think that's a hat) adds a nice touch. 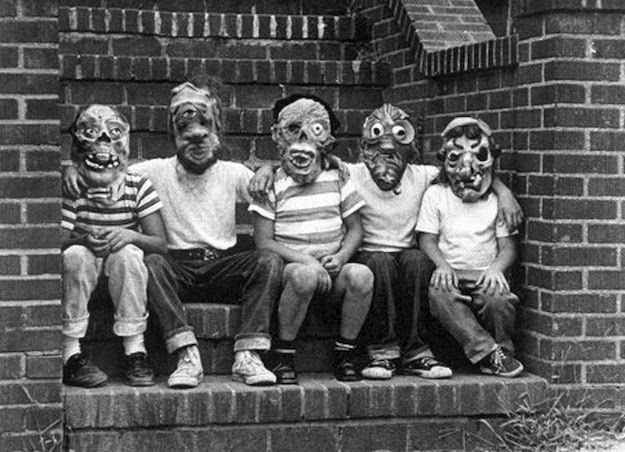 There's something about lining up a group of kids and putting them in the same or similar masks that is truly creepy. 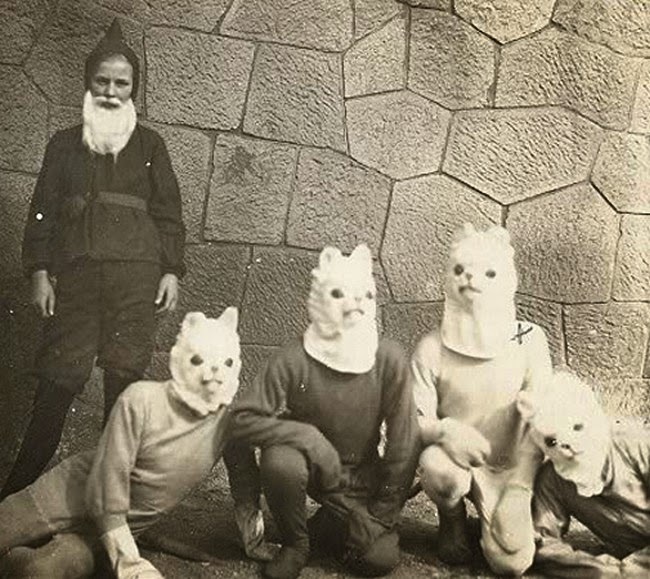 Just what on earth is going on this photo? 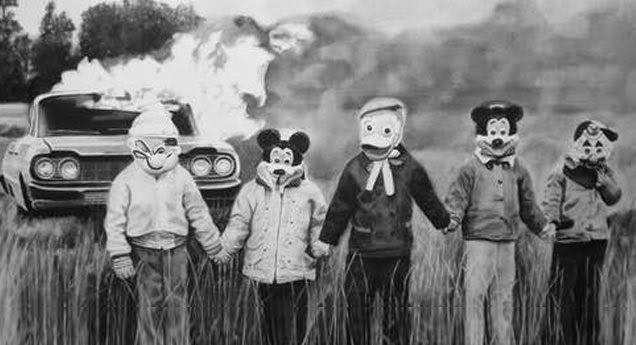 Did these little demons set fire to that car behind them? Am I seeing unearthly forms in the flames and smoke? I know you had something to do with it, Popeye! Behold, it's the Killer Rabbits of Caerbannog! Someone get the Holy Hand Grenade of Antioch! 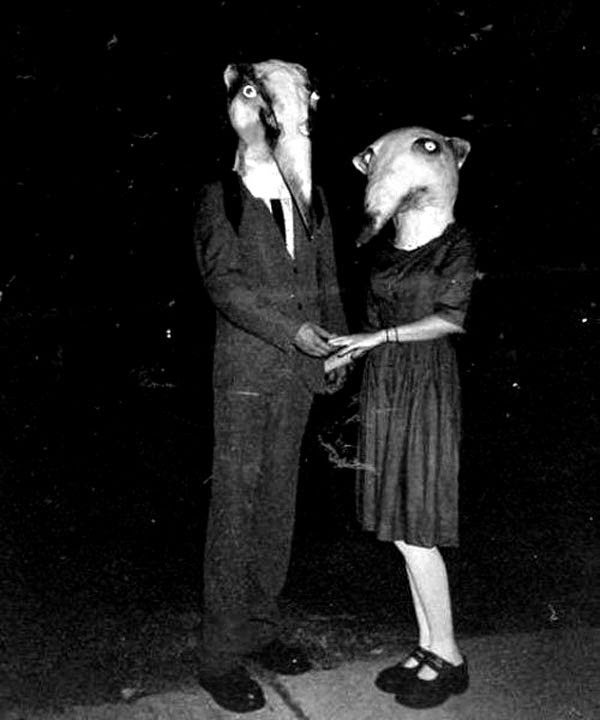 Oh, rats. Agnes, I can't see a darned thing with this mask on! 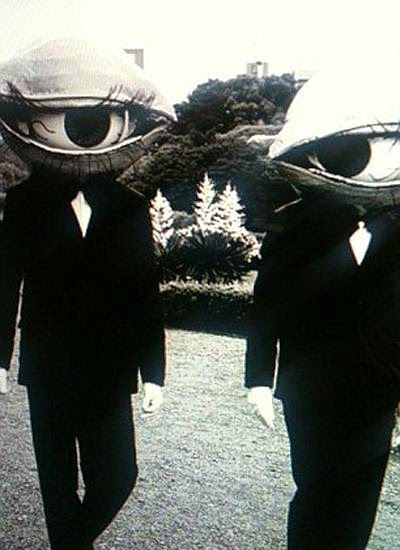 Eye, on the other hand, see just fine. Maybe if you don't breathe or move, he won't see you. Oompa-Loompas! 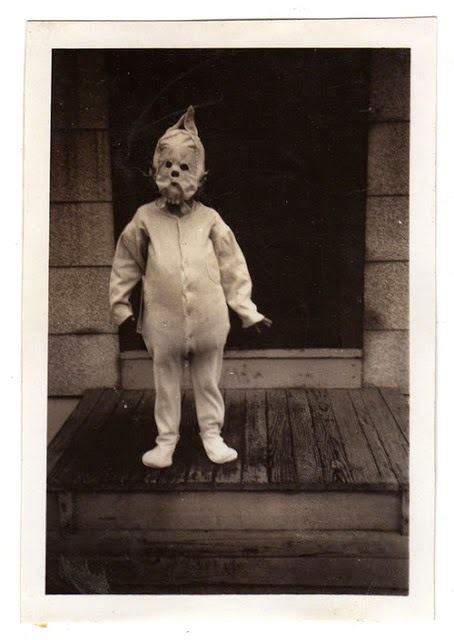 Hands down the best costume of this collection. 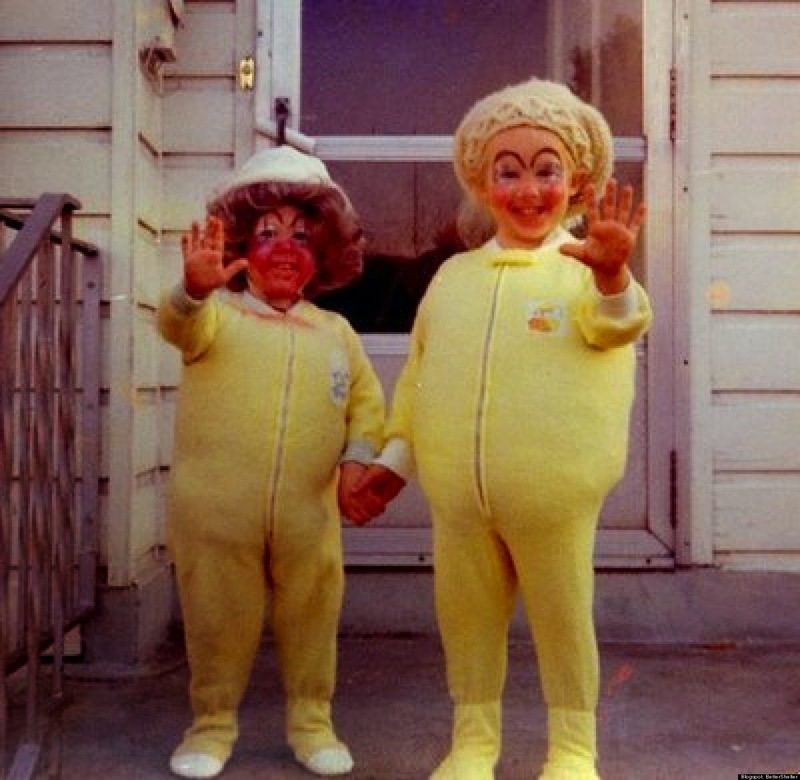 But what makes it actually scary is I can't tell if the one on the left is a child or a little person. They eat the children first. Gives the grown-ups a little more time to try to escape. Come and play with us, Danny. 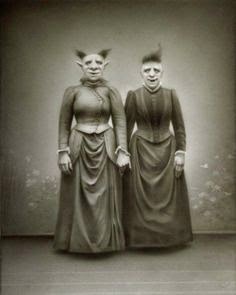 Come and play with us. 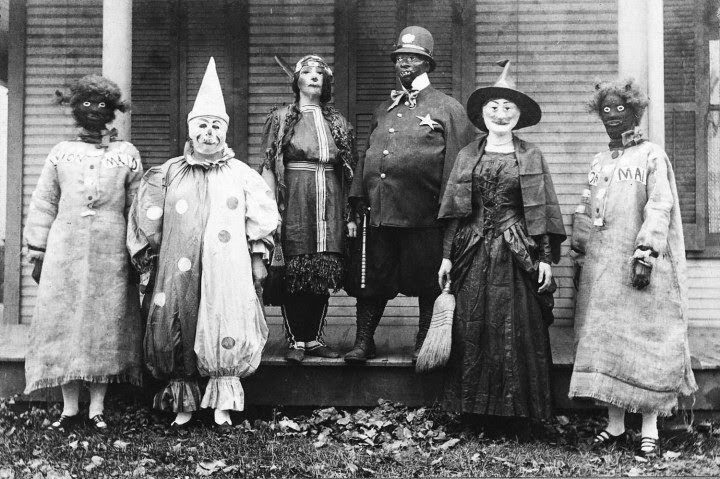 Maybe no one will notice that some of our costumes are kinda racist. I think I've had enough for now. Time to go flood my eyes with cat videos.